That's What She's Reading: The Ultimate Guide on Reading Activities for Preschoolers! 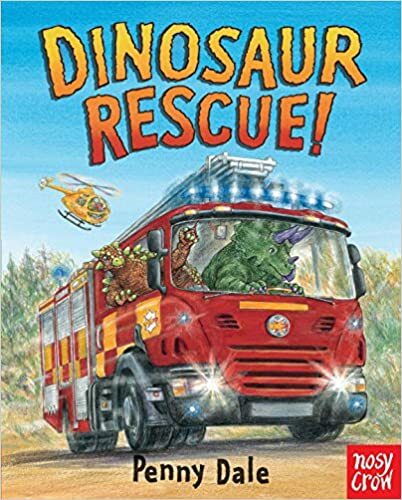 Featuring Dinosaurs! 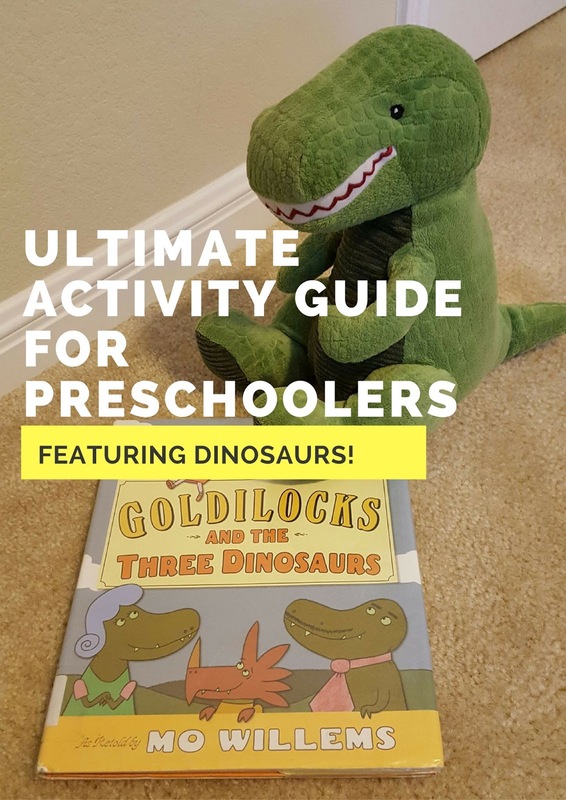 Goldilocks and the Three Dinosaurs is one of those books that works great for kids and parents alike because each will have their own reasons for laughing out loud! 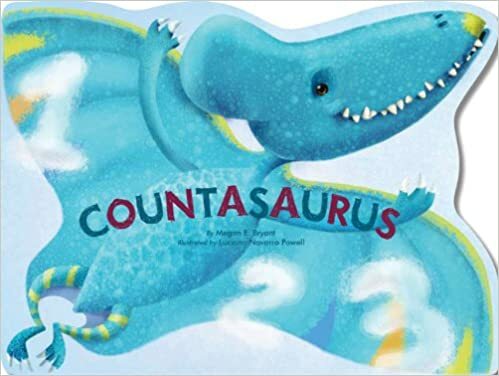 Some of the humor will be lost on the kids, but you'll love reading this one because it is so entertaining for adults as well. 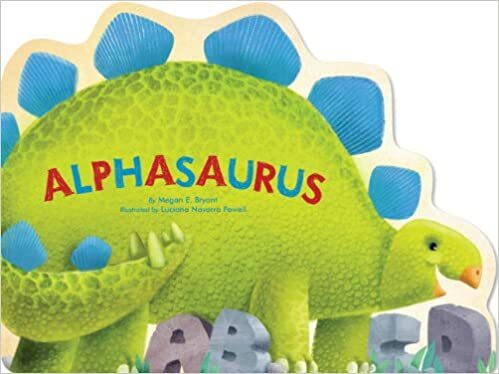 This is a retelling of Goldilocks and the Three Bears, but instead three hungry dinosaurs decide to "go someplace else" and definitely did not set a trap for a succulent, unsupervised young child to wander by. 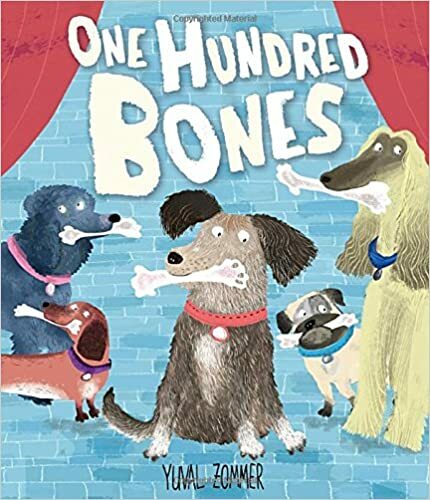 This book is very witty and quite charming and I won't say much more because much of the joy and fun comes from the discovery of the story as it plays out and it's not what you think! 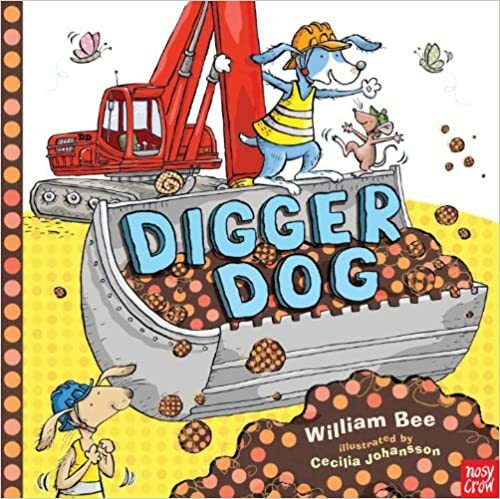 The cartoonish illustrations are a hit with the kids, but pay close attention to the details for more laughs. This is a refreshing take on a classic that everyone can enjoy! Before the ear problems began, we were able to get outside and enjoy some really great weather. 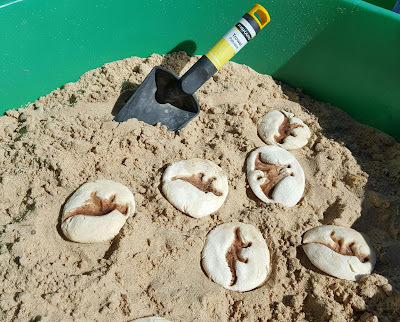 Last year, I made some dinosaur fossils featured from Learning4Kids that we used in a sensory bin. These take some time, but they are great! 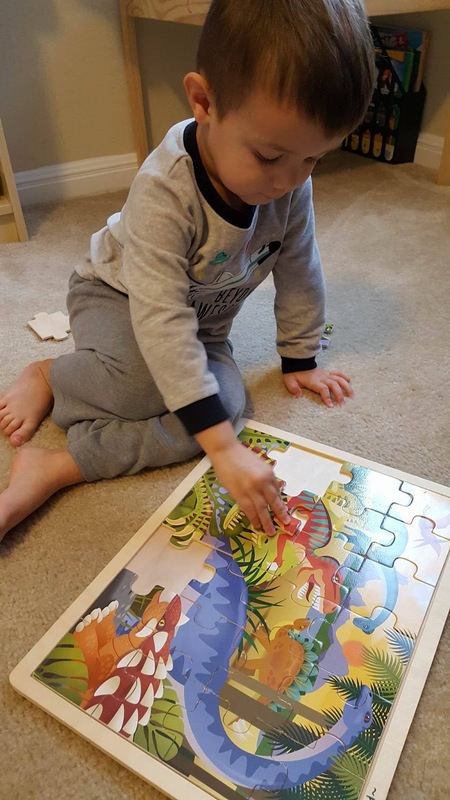 We've also used them as puzzles, where Maddox had to match the actual dinosaur in its correct fossil. This year, we now have a big sandbox, so the boys spent some time pretending to be paleontologists! Dinosaur toys were taken to the park for some small world play. 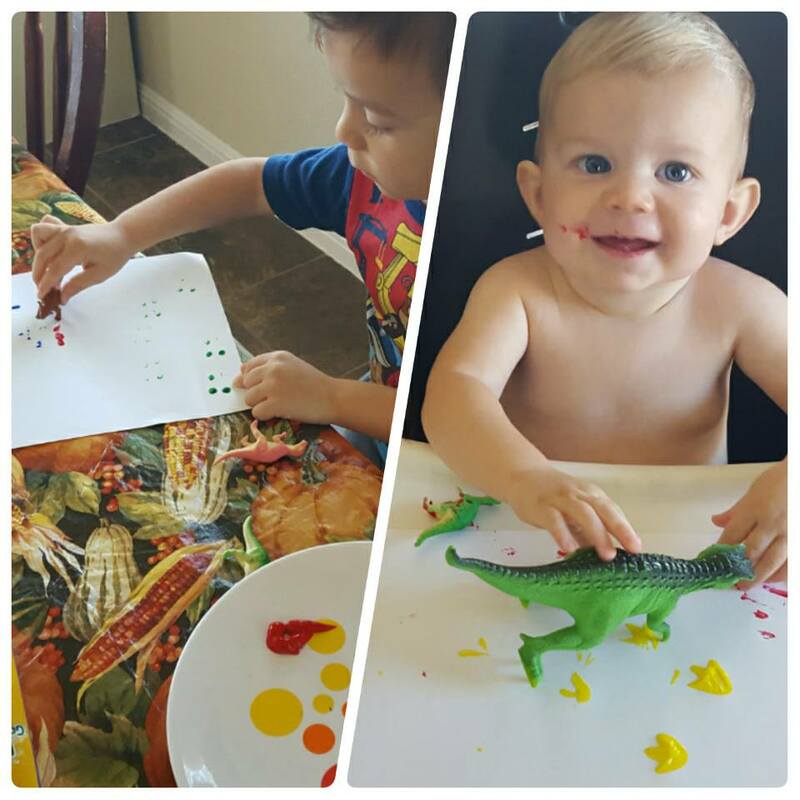 Later the boys used the dinosaurs to paint tracks. 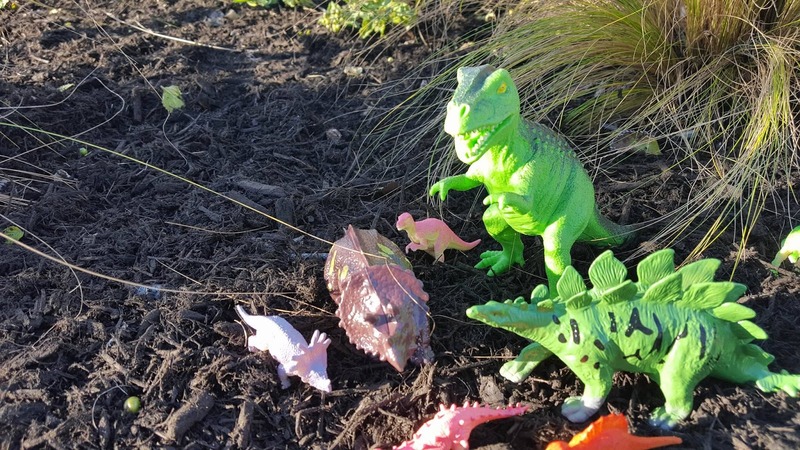 These little dinos really get around, so you might see them again during construction week and later during train week! Maddox loves puzzles, so this dino one is always a go to! Some older printables that I had from doing the dinosaur theme before included a letter match game from A Teaching Mommy. 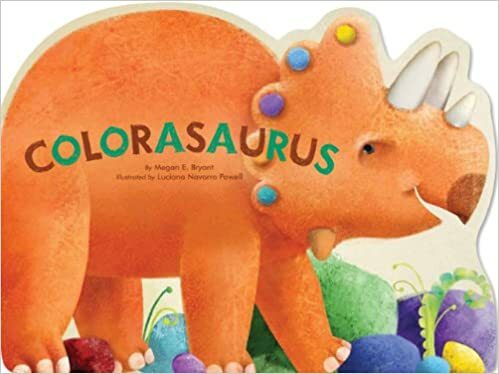 From the link, you can download a bunch of various worksheets featuring dinosaurs. 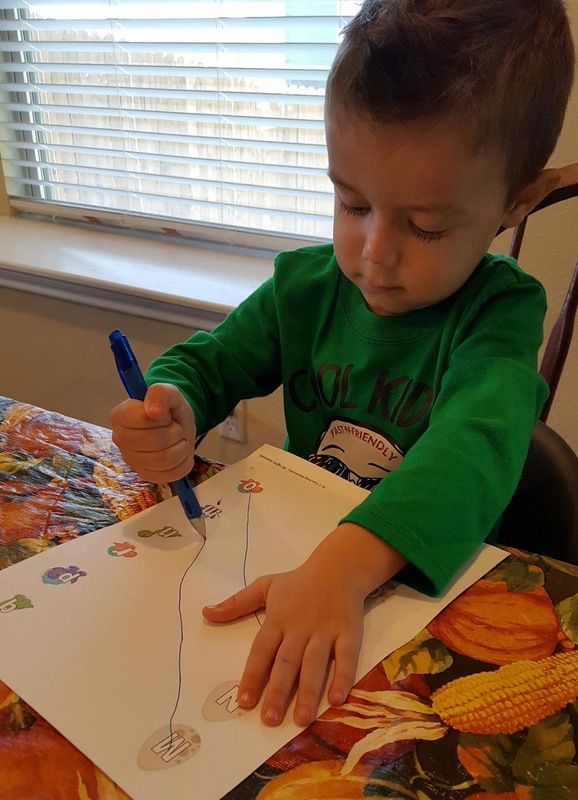 Worksheets may seem uninspiring and mundane, but it really is important to incorporate them into the learning process even at this early stage. I just read an article featured on Teaching 2 and 3 Year Olds about how more children are entering kindergarten without the fine motor skills needed to grip a marker or hold the paper still while they color, glue, or cut. 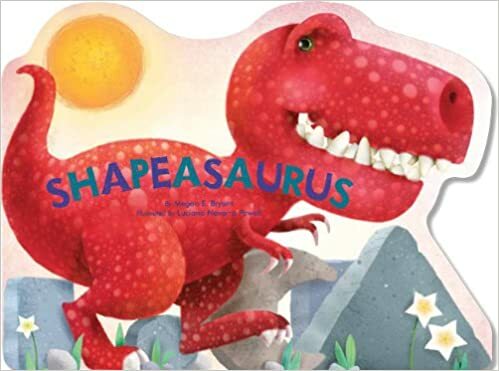 I also found out that Barefoot Books recently released a new sing along book and video called Dinosaur Rap that fit the theme perfectly. Not my favorite, but the boys enjoyed it! In the absence of activities, books became our go to for this week, so as always, here are some of our favorites for you to consider. This one is my personal favorite! 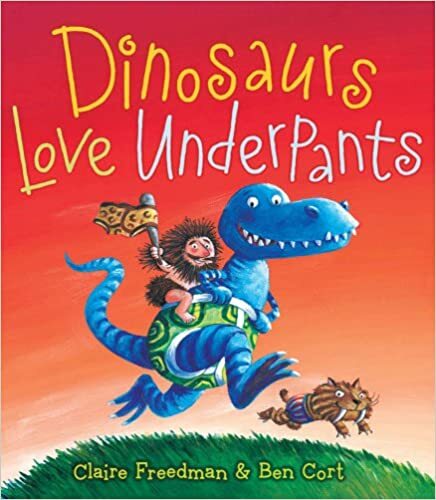 Be sure to check out the authors' Facebook page, Dinovember, for more crazy adventures! 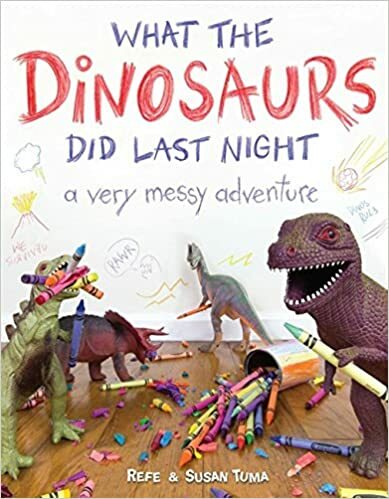 They will have a new book out next year, What the Dinosaurs Did at School, which you can preorder now! 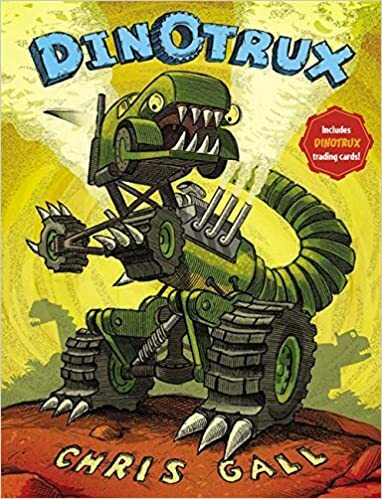 So that was our pretty unorganized Dinosaur week! We're taking a break for Thanksgiving, but we'll see you afterwards for construction week with Goodnight, Goodnight Construction Site!